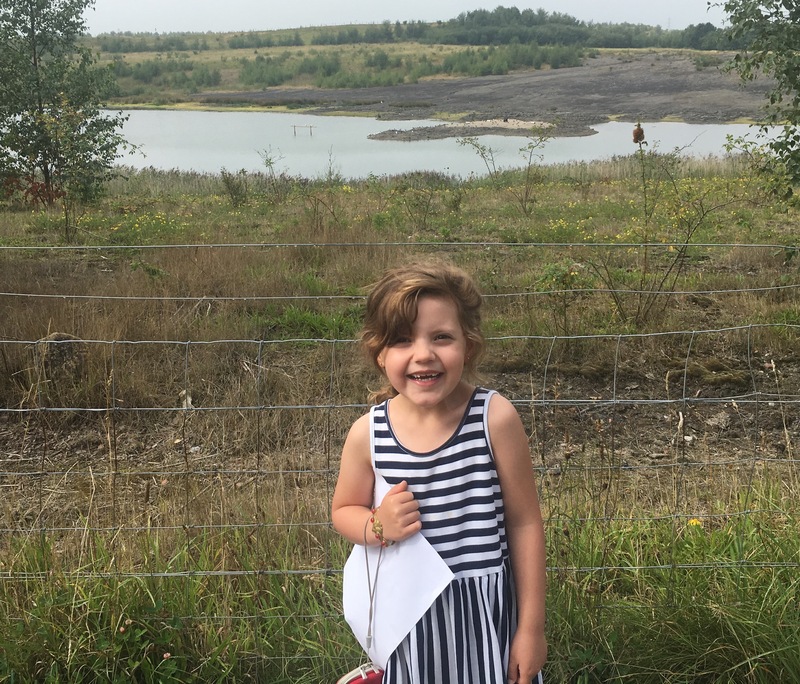 I’ve been meaning to visit RSPB Fairburn Ings for ages, so with just my Daughter to entertain I thought it would be a nice Mummy and Daughter day out. 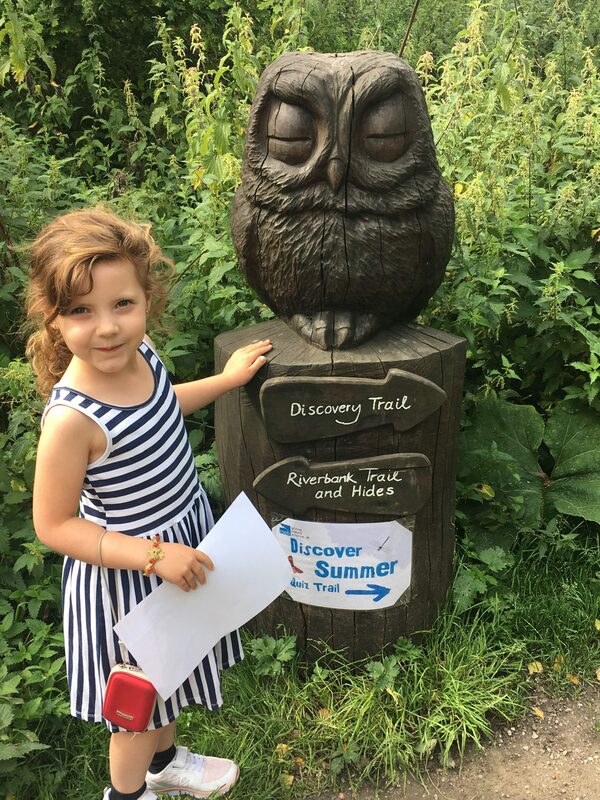 The nature reserve not far from Castleford is a protected area, with pond dipping and walking trails it sounds just our sort of place to explore. On arriving at the visitor centre, we got a map and picked from the three main trails which we would explore. It was purely based on the colour and my daughter picked the longest red route. 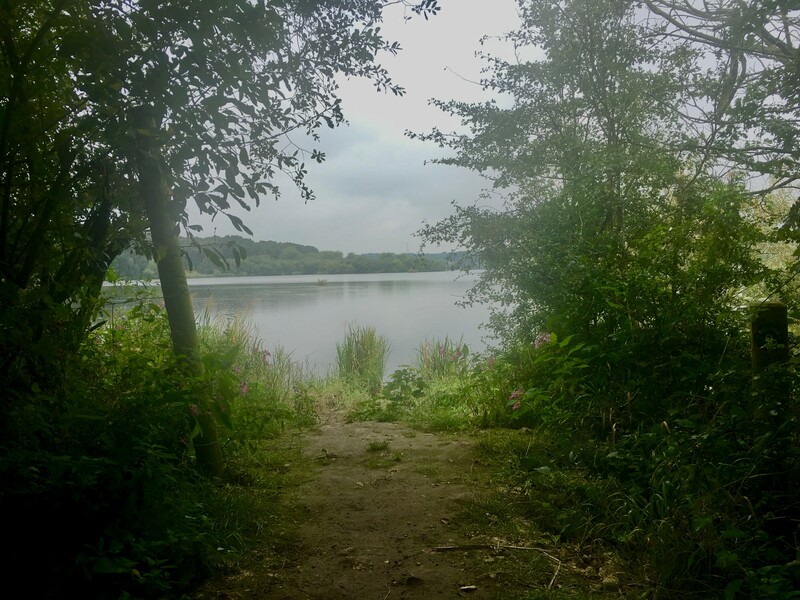 We walked about 6km in total and walked along a path with wooded areas, bird hides to sit in and glimpses along the way of the main lake. I was kicking myself I hadn’t hired the binoculars for the day but we still got to see all the birds on the lake. We were treated to a display from the geese flying over our heads a few times, and decided that they were the visitor formation team showing off for our benefit! Too quick to get a photo unfortunately. Returning to the visitor centre we grabbed a sandwich from the little shop area, took advantage of the toilet facilities before buying a pond dipping kit. 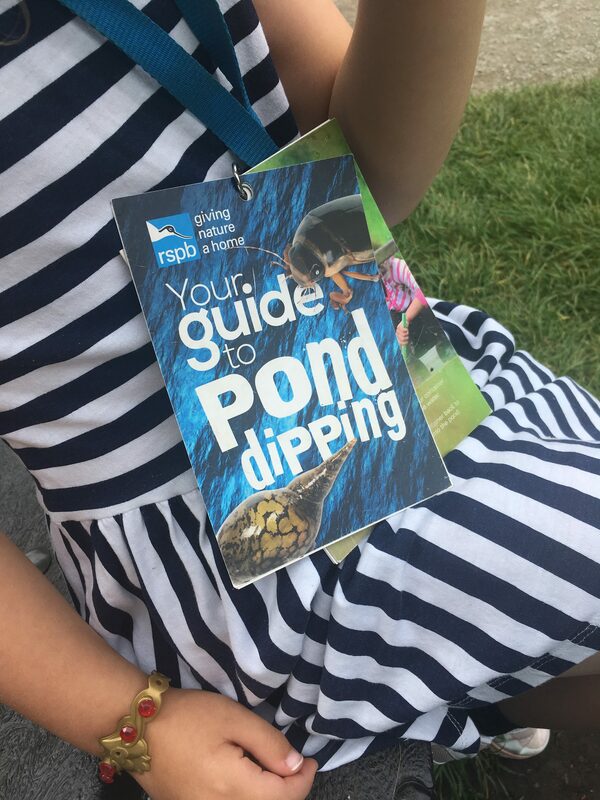 The kit is a hire of net and bucket with booklet on how to pond dip and what you might catch. 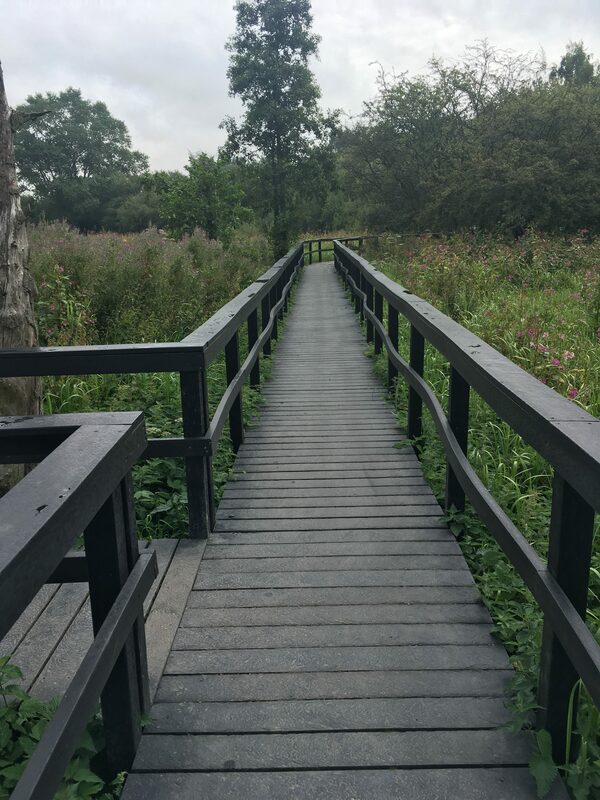 There are a couple of areas along the boardwalk where you can do the pond dipping and we set off enthusiastically. 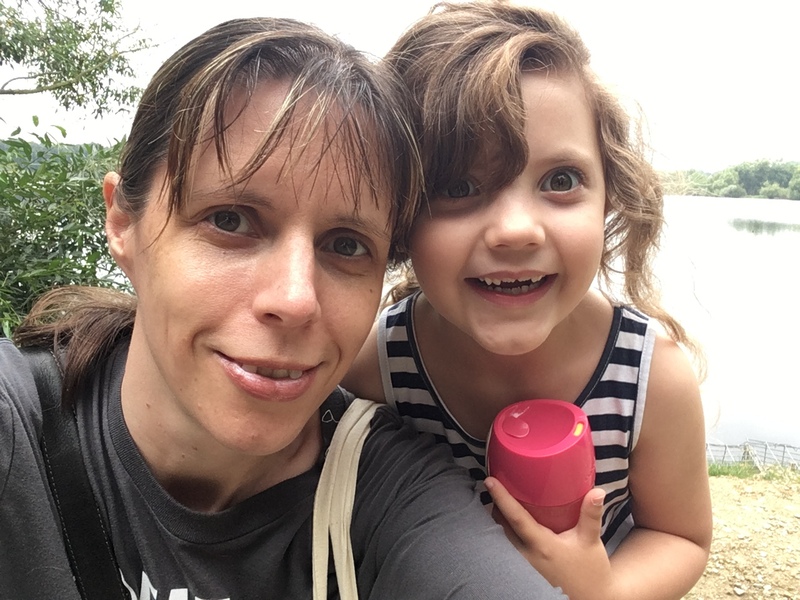 My Daughter isn’t the quietest child and maybe her constant chatter scared the pond wildlife but we weren’t very successful at pond dipping! 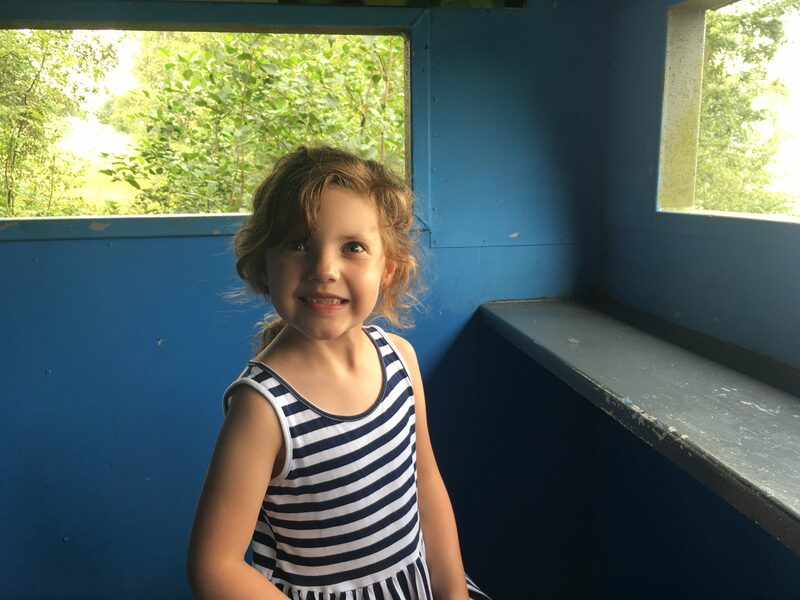 We did have a great time trying and I was thankful my little chatterbox didn’t fall in. 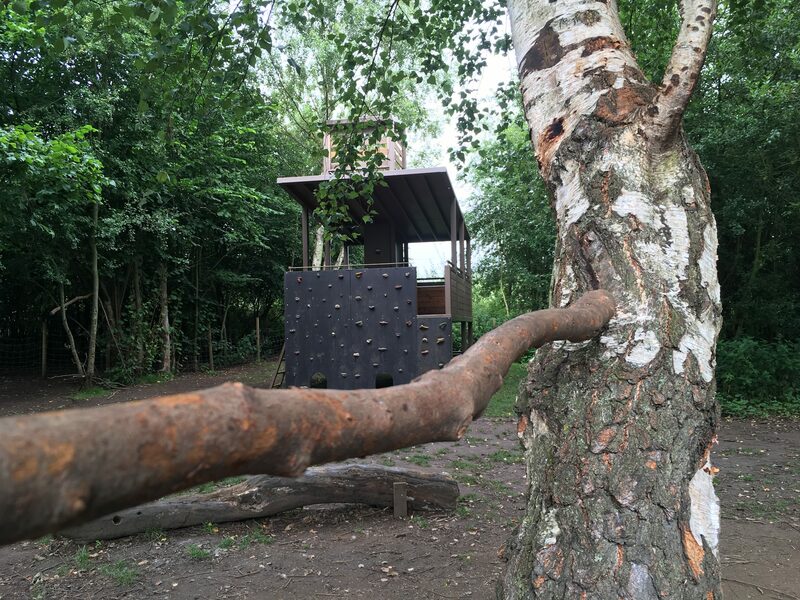 After pond dipping we went into the play area, my Daughter heading for the den building and tree house. 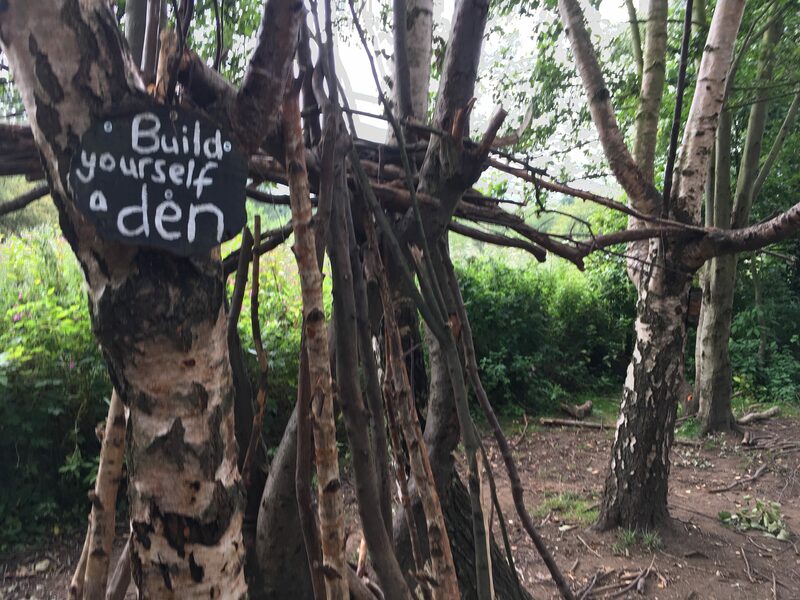 We attempted some den building which was fun and then had a little walk through the garden area. 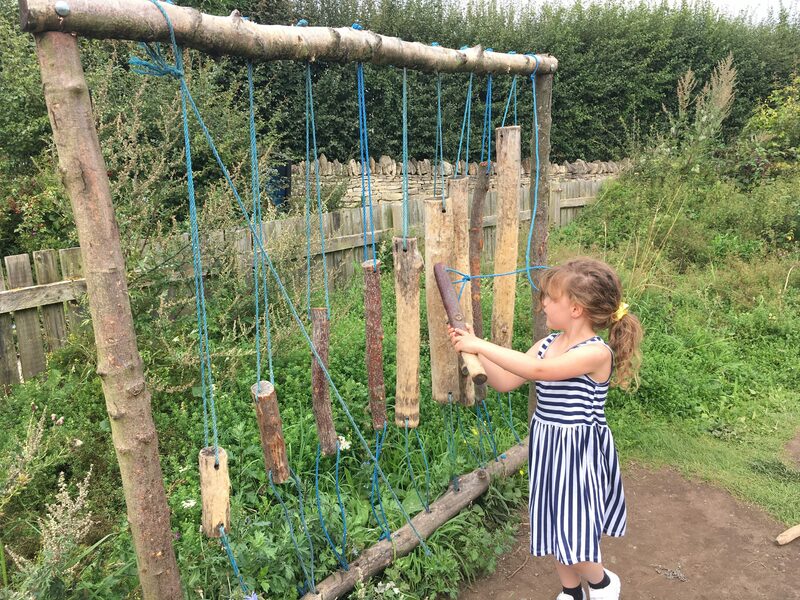 My Daughter loved playing the woodland drums. We spent about four hours there and could have easily stayed longer, we hadn’t even tried the discovery trail. We’ll just have to go back with the whole family. Pond dipping is £2 for hire of the net and bucket, again free for members. Ask about binocular hire! I wish I had. This looks like the best sort of mummy-daughter day, it’s always great when you get to appreciate nature with your family. Pond dipping is always fun, even if you don’t spot any critters, they can be hard to find sometimes! That play area looks like the perfect place to let your daughter burn off any excess energy before heafing home! It was a lovely day out and we’ve found somewhere to take the rest of the family back to explore. Hopefully the critters will come out to play next time! Pond dipping is great fun but I was terrified either little legs would fall in or I’d drop my phone! Thanks for reading. Sounds like a great day out. 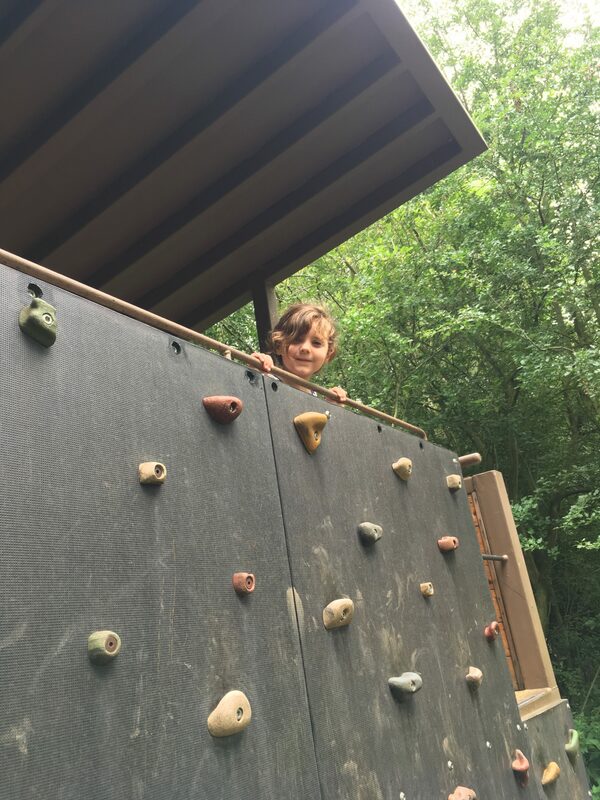 Lovely to get topics to discuss and laughed at your comment about not falling in – mine have done that before now. Shame you did not find any pond life. It was a great day out and I wouldn’t have put it past my daughter to fall in! Yes I’m wishing I’d been before now. Thanks for reading. It’s great fun isn’t it? Hope you caught something though! It was a lovely day out. 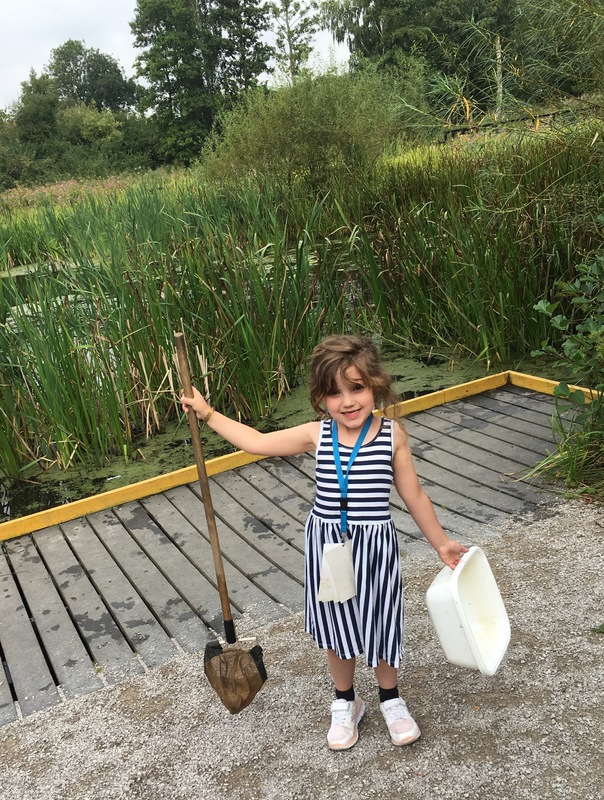 We’ll be trying pond dipping again, fingers crossed for next time! It was a lovely day. Yes the pond dipping is reasonable too for non members so we weren’t left out. Thanks for reading! What a lovely family-friendly day out. It’s looks gorgeous for starters but what I really love is that you can hire a pond dipping kit complete with a guide on how to do it. Thanks for joining us on #adventurecalling I hope you can again tomorrow. It was a lovely day out and I’m determined next time we go pond dipping to catch something! It was a great day out and despite not being members great value for money. Hope when you do go pond dipping you’re more successful than us!